The Primary Peach: Using a Boo Boo Basket in the Classroom! Oh my goodness! 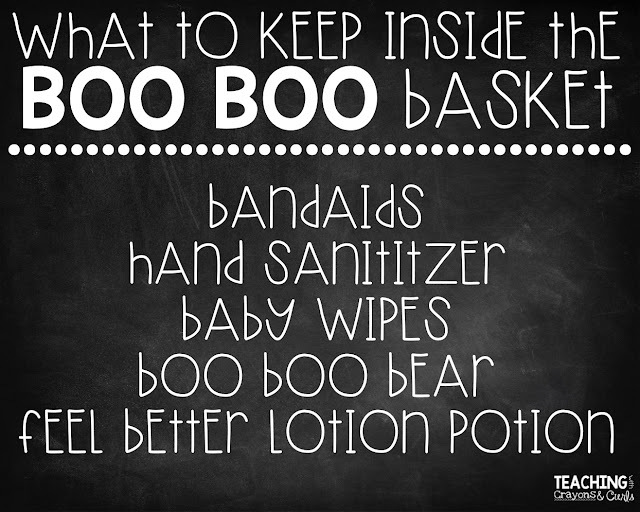 If I had a nickel for every bandaid I gave out in my classroom, I just might be a millionaire! My sweet little firsties think that a bandaid will make them feel all better, and maybe even save the world! You've got to love that innocence, right!? However, having to go get a bandaid from the cabinet above my sink multiple times throughout the week got very annoying, so this year I decided to do something to tackle the madness! 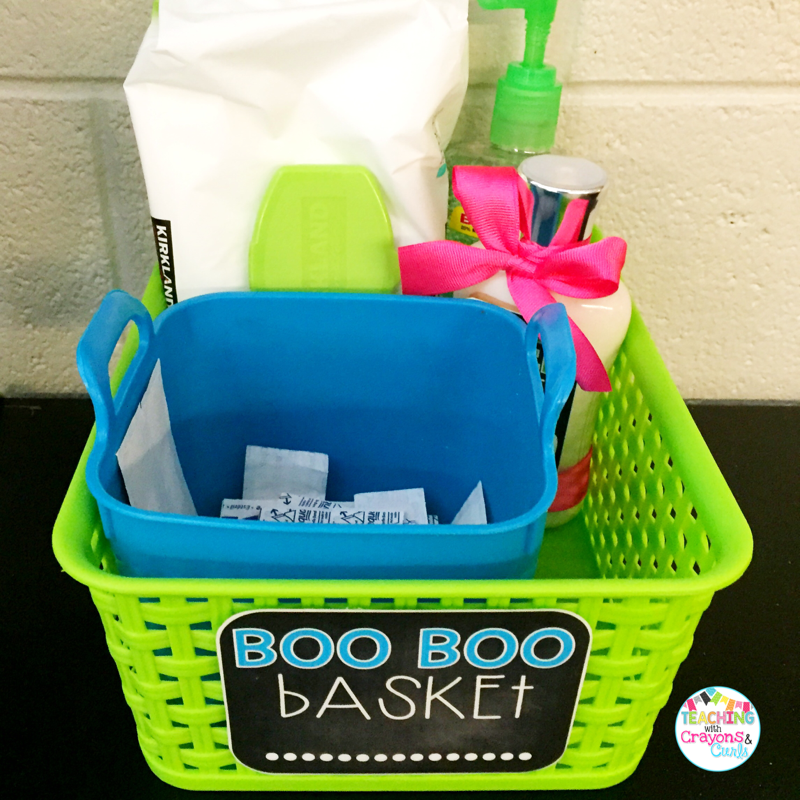 Introducing, the Boo Boo Basket! 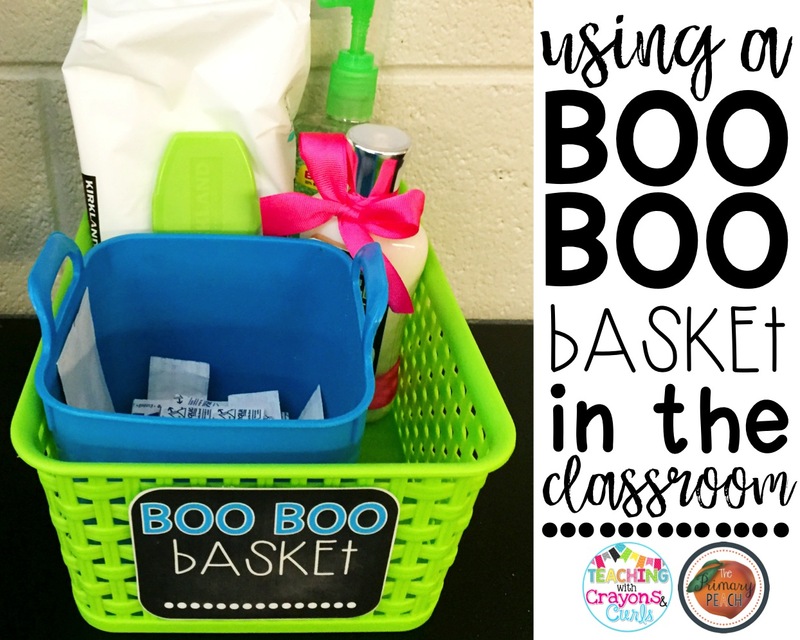 This little basket has already been a huge help in my classroom! Of course I think it's so important to set up some rules and procedures for using this basket, so it does not get taken advantage of or overused! 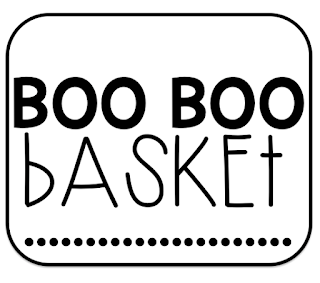 Now, whenever one of my sweet little firsties tells me that they have a boo boo, I just send them over to the Boo Boo Basket and they take care of themselves! 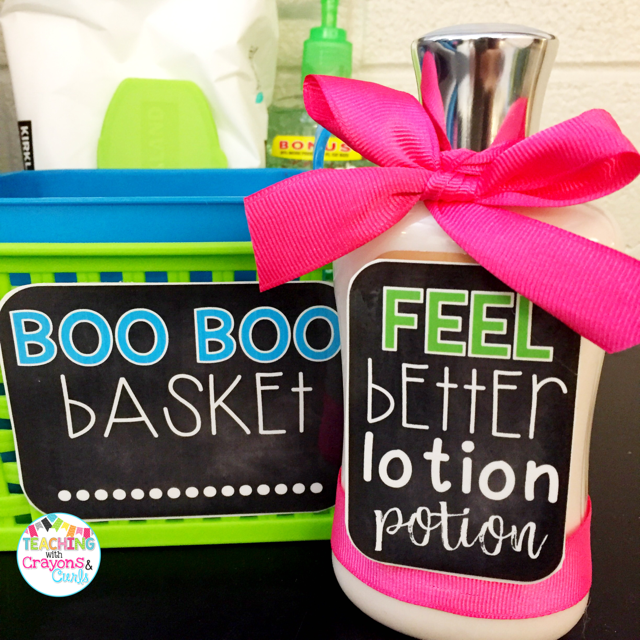 I also LOVE keeping this bottle of Feel Better Lotion Potion in the Boo Boo Basket for any little boo boo's that don't require a bandaid, or even sometimes my kids are feeling sad and just need to feel better! It's MAGIC!!! Actually, it's just lotion from Bath and Body Works, but don't tell them! The great thing is, you can keep as little (or as much) in your Boo Boo Basket as you like! 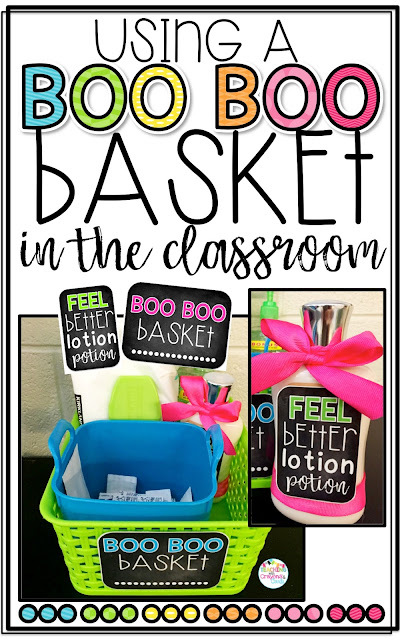 Whatever works best for YOUR classroom and YOUR students! Think you'll want to use the Boo Boo Basket in your classroom, grab these Chalkboard Brights AND printer friendly labels for FREE by clicking here or on the image below! Want to save this for later? Make sure to PIN the image below!